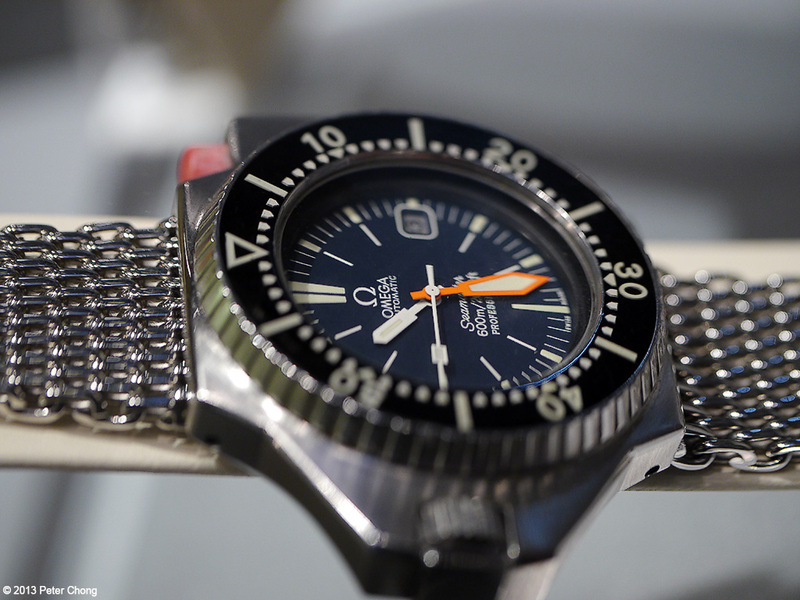 The Omega Proplof is a fascinating watch to me...especially the original. 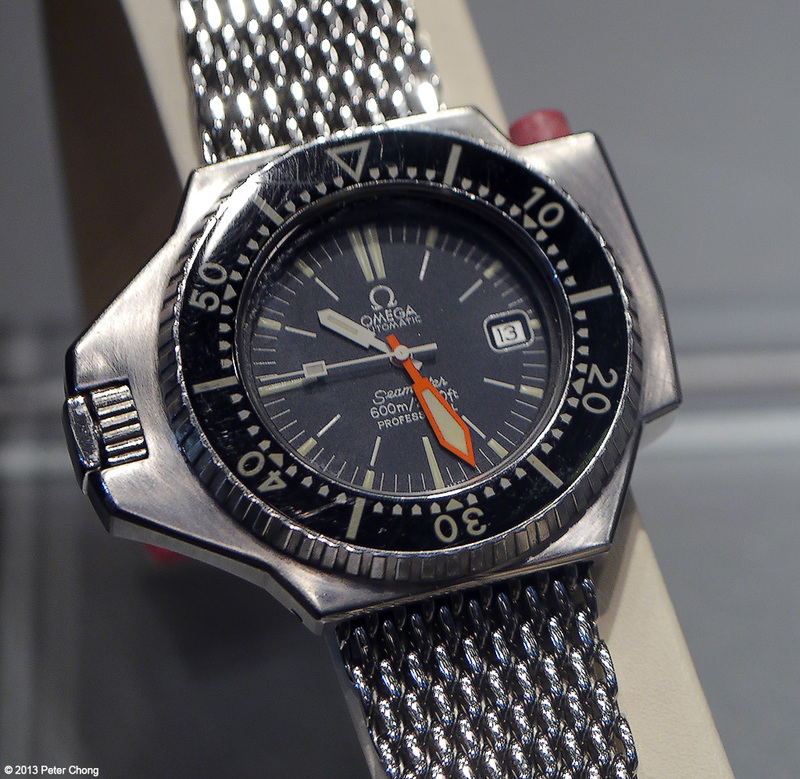 I managed to photograph this through the display glass at a recent exhibition, where Omega brought some pieces from their Museum collection to Singapore as part of the Coaxial show. The watch is massive. Made in 1970, the case is so massive that a helium escape valve is not necessary to ensure the crystal does not pop due to helium absorption as the case is impenetratable. The case was actually tested to 1370m, the watch lowered on a wire to the deepest part of Lake Geneva, and it performed flawlessly. The shark mesh bracelet is also an excellent design feature of this watch. Please excuse the quality of the photograph, this was taken hand held in an exhibition case. As the watch was a museum piece, I could not have had it taken out to photograph due to insurance conditions.